Here is a Press Release from the Forest Service regarding the addition of wilderness areas in the Cleveland National Forest. For a map of the new wilderness areas click Here. Forest Service officials on November 3, 2014 announced the signing of the Record of Decision (ROD) for the Cleveland National Forest Land Management Plan (LMP) Amendment. The Amendment to the LMP is part of the Settlement Agreement approved January 3, 2011, in the case of California Resources Agency, et al vs. United States Department of Agriculture, and Center for Biological Diversity, et al vs. United States Department of Agriculture, which challenged the Cleveland’s 2006 LMP. Roughly 43,000 more acres of the Cleveland National Forest are zoned as Recommended Wilderness and will therefore be managed to retain and improve their wilderness character until Congress makes a final decision about their wilderness designation. These lands are located primarily on the Palomar Ranger District but also include northern portions of the Descanso Ranger District. This decision also amends the LMP monitoring and evaluation requirements to make them more efficient and effective. The areas now zoned as recommended wilderness offer outstanding opportunities for solitude, primitive recreation, species refuge, and watershed protection. The zoning provides for manageable boundaries that avoid conflicts with existing roads and adjacent uses. The majority of the Forest will continue to have the flexibility to accommodate a range of uses such as mountain biking, hang-gliding, or utility corridors that are not permitted in designated wilderness areas. For additional information, contact Forest Planner Jeff Heys at 858- 674-2959. What I don't understand is really what changes. I just camped last Sunday night in the southern Palomar district in an area now designated at "Recommended Wilderness." I am not sure, however, what that practically means. I shared the area with hunters, cows, and an inholding rancher who drove his truck through the area. I wonder what the previous designation was and how this new designation will affect the area. Derek, that is a great question. 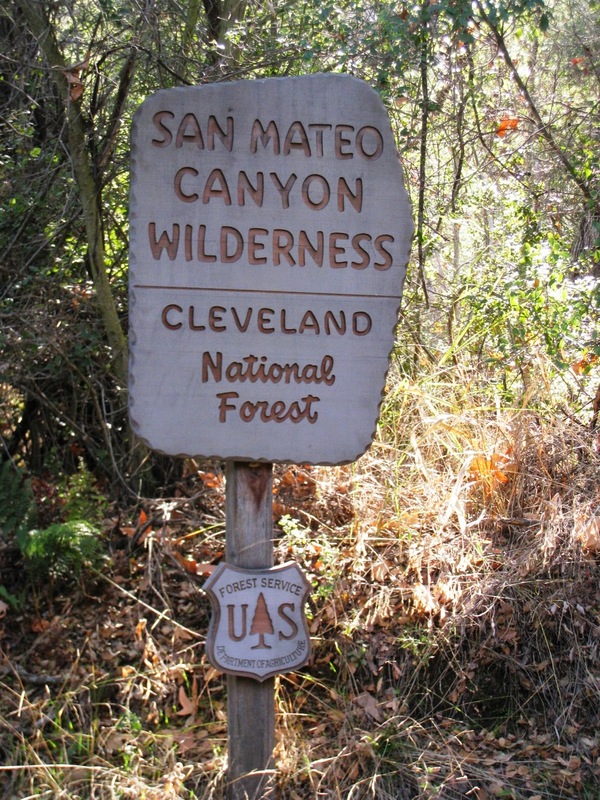 It appears the previous designation was simply just part of the Cleveland National Forest. Given the US Congress is the governing body in charge of designating wilderness areas, we would guess the "recommended wilderness" area would just be managed as national forest until there is a decision by the US Congress, but the forest service has not clearly explained the difference, if there is even any difference in management with the new classification.